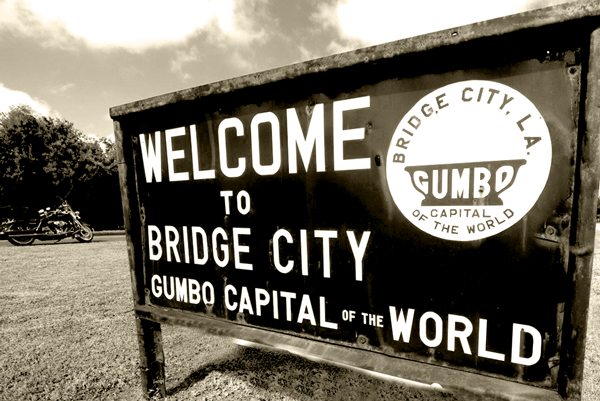 The Bridge City Gumbo Festival has been hosting The Great Huey P Long Bridge Run & Abita After Party since 2015. We are proud partners and we enjoy featuring the tastes of the World Famous Gumbo Festival which is held each year in the fall. We encourage our runners, walkers, volunteers, and charity / sponsorship partners attend the World Famous Gumbo Festival every year to get a real sense of what the Westbank and Jefferson Parish community has to offer. Return here closer to the event for a few key dates and times. This year's Gumbo Fest will offer live music, kids rides and will also include a Haunted House. And to top it off, there will be Fireworks between the band performances on Friday night.